The ability to take a loan from a Self-Directed Solo 401k is one of the biggest advantages of the 401(k). 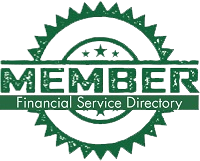 Since you are ultimately the plan sponsor, you can design your plan and its loan provisions any way you want. While we wouldn’t recommend borrowing from your retirement funds to pay wedding expenses (why not a down payment on a new home!?) or vacation costs – the math just doesn’t work well – the freedom and flexibility offered by a Self-Directed Solo 401k is one of the program’s strengths – if used responsibly. Many of our clients use loans from their 401(k) judiciously, to make reasonable and prudent investments, or to increase the value of their homes, or in real estate they may own in taxable accounts. Some of them use their 401(k)s as an additional source of liquidity. 401(k) loans are not reported to credit rating agencies. There is no lengthy application process needed. Other lenders could take days or weeks to process a loan. With a Self-Directed Solo 401k it’s as simple as filling out a couple of forms. Interest rates are relatively low compared to other loan sources. There are no restrictions on the loans. You can use a loan from your Self-Directed Solo 401k for any purpose, personal or business. You are paying interest to yourself, ultimately, rather than to a bank or credit card company. So you must still make the payments, but at least that interest will wind up in your account, rather than in someone else’s. Remember that when you borrow from your Self-Directed Solo 401k, you have opportunity costs. That is, your money is no longer earning whatever returns it would be generating within the 401(k). So whatever you do with a loan should at least theoretically have expected returns of at least what your money would have earned within the 401(k), plus interest, net of taxes. In practice, this is usually a pretty substantial hurdle to overcome to justify a 401(k) loan. Interest on a 401(k) loan taken for personal purposes is not tax deductible. However, the interest may be tax deductible if it’s for business or investment purposes. If you close the plan or leave the company/employer, you may have to pay back the outstanding balance immediately or within 60 days. While a 401(k) loan is not a great idea for everybody, many of our clients at American IRA, LLC have the liquidity, investment experience and financial prudence to make this feature work very well for them. If you are a small business owner or you are self-employed or plan to become so, and you are interested in putting these benefits to work for yourself, we want to work with you. 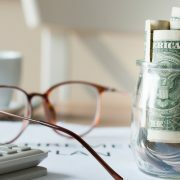 To learn more about solo Self-Directed Solo 401k plans and how to set them up for yourself, contact American IRA, LLC today at www.americanira.com, or call 866—7500-IRA(472) for a confidential, no-obligation consultation. Need More Money? Utilize One of the Greatest Benefits of a Self-Directed Solo 401(k)!